As you begin to check off all the items on your Back to School to-do list (buy school supplies, get new backpacks, new lunch boxes, new clothes…), you may be wondering what else you need to do. Well, if you are fortunate enough to have taken on the role of the yearbook adviser you want to make sure you add start your yearbook sale to the top of your back to school list! The yearbook sale is often a part of the yearbook process we forget to think about early on. We are so focused on picking the yearbook cover, figuring out what content will be on each page, uploading all the images we have taken over the year etc. that we forget to start our yearbook sale early. Back to school is the perfect time to start your first yearbook sale. With the help of your yearbook specialist you can figure out how much you want to sell your yearbook for, how long you want your back to school sale to run, the dates you want your sale to run for and what supplies you need to order. All your supplies are free of charge and are included throughout the entire school year when you sign on to work with School Annual by Jostens. Your yearbook specialist will take it from there. You will get a packet of sales supplies including custom printed order forms with all your sales information. It will even have the online link printed on the form so parents know they can purchase the yearbook online. Once your supplies arrive, work with your school to find out the best ways to have the teachers distribute the order forms and hang up the posters in the hallway. If your school has a notification system, you can ask that they let the parents know the Back to School yearbook sale is happening now and add the online order link to your school website or social media accounts. This Back to School sale can set up the framework for more sales throughout the school year. You can also set up a midyear sale and a final last chance sale. By the time you are ready to submit your yearbook you will have a clear idea of just how many books you need to order. 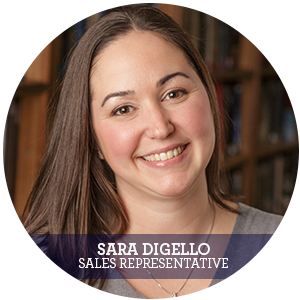 Our goal is to help you sell as many books to as many students as possible. You work so hard to create a beautiful yearbook, and we want to make sure that everyone gets a chance to enjoy it. Is a School Annual veteran. She has been a representative for about 10 years. Loves the beach and taking her two daughters to play in the sand!